Choosing the perfect diamond for your bespoke jewellery, engagement or a wedding ring can sometimes seem difficult. Buying a diamonds is for most people, a new experience, so to make the process an enjoyable one; we’ve put together our diamond education page. The La Vivion diamond education page has been created to give you a better understanding of a diamond’s key characteristics in a simple and straightforward manner. On this page we will answer all your questions about the features that can affect the appearance of the diamond, together with the four Cs – clarity, cut, carat and colour. 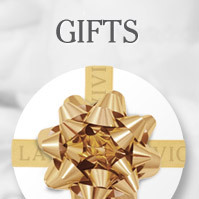 Find everything you need to know about diamonds in the La Vivion education page. 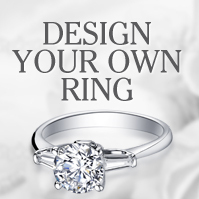 Learn to shop with confidence and know how to find your perfect diamond. We have split up the diamond’s characteristics into simple tutorials to help decide which the most important factors to consider are. Shape. This describes the form of the diamond as viewed from the top. Each shape has its own unique attributes whether it’s a round, princess or emerald cut. 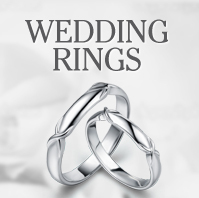 We’ll help you to understand each shape, and make a choice based on your personal choice. Cut. The brilliance of a diamond depends on the craftsmanship involved in cutting it. Simply put, the better the cut, the more sparkle your diamond jewellery will have. Colour. The grade of a diamond’s colour identifies the lack of colour in white diamonds. Diamonds with little or no colour are considered the most precious due to their rarity. Clarity. The majority of the diamonds have small, if not microscopic blemishes. Diamonds with no imperfections are given the highest clarity grades. Carat weight. A familiar term, this is a measurement of a diamonds weight. Certification. Objective and independent grading of these precious stones is issued by the Gemmological Institute of America (GIA) and AGSL. 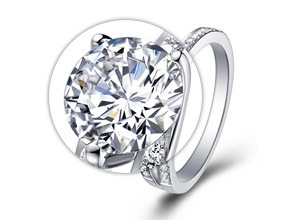 Diamonds at La Vivion are GIA-certified, ensuring that only quality stones are offered to you. Take a look at our diamond education guides to make shopping for your diamonds a pleasurable experience. We cover all the important characteristics of a diamond, and tell you what to look for when purchasing your diamonds. Discover the variety of vintage and contemporary designs here at La Vivion or create your own using our bespoke jewellery service. At La Vivion you can rest assured that the diamonds and jewellery available is of the highest quality, designed by talented designers from across the globe. Contact us directly for more information on diamonds and diamond jewellery.